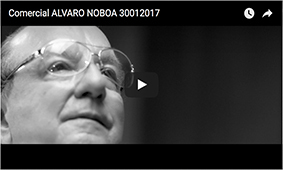 On Saturday, October 22, 2016, Ecuadorian businessman Alvaro Noboa, officially announced his candidacy for the presidency of Ecuador for the elections of 2017. The announcement was made at the National Convention of his political party, Adelante Ecuatoriano Adelante. “Our government will not be a government of corrupt politicians. Our government will be of men like me and like you, who have to work every day to generate business, to earn a salary, to live as we all wish. Therefore, those politicians of always will not be with us and finally all the Ecuadorians who work every day to have a decent life will be those who co-govern the new Ecuador, who co-govern it with me and make this country one of the best countries in the world,” Noboa said during his speech. He also noted that so far his party has 2’063.183 affiliates, the second party with more subscribers after the ruling party.